but yesterday was her first show where we’d be expected to do anything very much beyond stay on top and go over the poles. 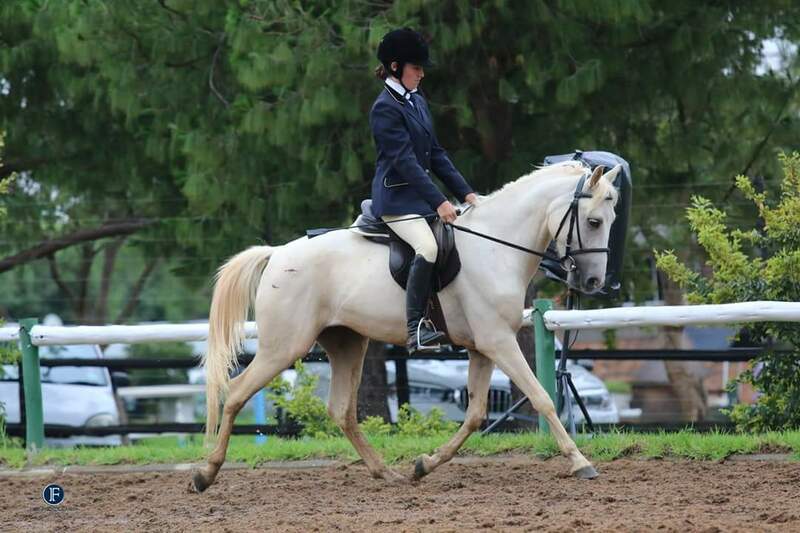 I knew I had gone out on a limb when I entered her in a proper show horse class and the working riding, seeing that she only semi has steering and occasionally still picks up the wrong lead, but I didn’t really care. It was her first show. If it was a disaster, so be it. The idea was just to have a positive experience, to keep on building those blocks of trust and confidence and let the competition take care of itself. 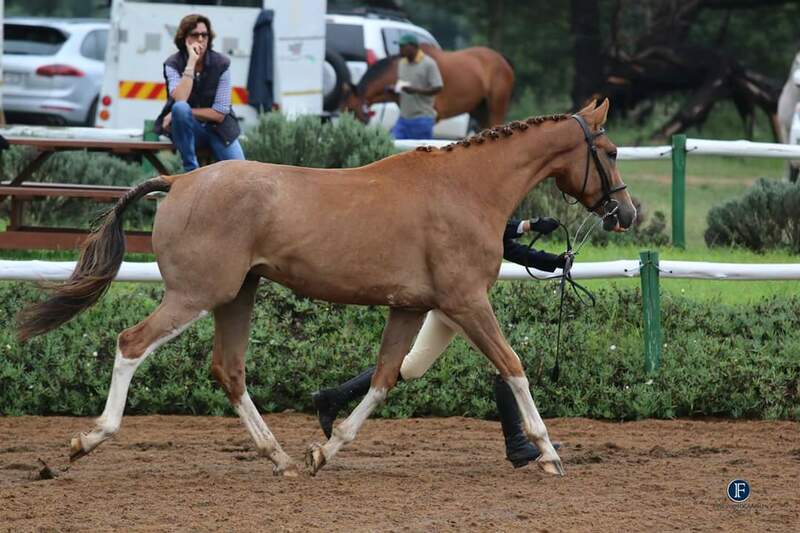 She was in a class with three of her buddies – including Dragonheart – for the in hand, so obviously she was impeccable. A bit wiggly when standing in the lineup got boring, but not bad. The judge liked her but she is still very young and awkward-looking, so she didn’t place, which I was expecting. I didn’t mind at all, particularly when Arwen and her little handler won the class. The dragon’s still the boss. I was very chuffed that the judge didn’t mention anything about Faith being downhill, though. My eye has not deceived me – the front end did catch up after all. Some people at her breeder’s were quite dismissive of her because she was so long-backed and croup-high as a baby that she looked pretty swaybacked, but I was sure the swayback look would go away if she was no longer so downhill, and it did. She’ll always be a bit long in the loin but that’s okay; it’s not like she has a ton of weight to pack around. The show horse class was a bit of a disaster. I had four kids to watch at this show and there was the predictable array of minor crises that needed to be fixed and pep talks that needed to be given, so I was still tacking up when they gave the last call for my class. A friend and fellow coach managed to persuade them to wait but I ended up kicking the poor baby horse up to the arena quite unceremoniously. She took some exception to this, understandably, and expressed it by producing some rather obnoxious bucks in the show ring. I just patted her neck and told her she was doing a good job because she was, for a baby, so she chilled out by the end of the class. The judge commented that she was “rather frisky”. No poop there judge. We warmed up for working riding, so of course, she was foot perfect. The first obstacle was already picking up the scary pink stuffed puppy and trotting a circle with it, but she handled it with panache. In fact she handled everything great – even walking over the mat. There’s nothing spooky about that baby horse. Winning the working riding put us through to the overall championship. By the time the championship class came around I was tired and hot and almost just gave it a skip, but I figured that it was effectively free experience, so why not. We came in with about seven or eight other horses and she was completely relaxed by this point. Her rail was perfect, and while she picked up the wrong lead once in the individual show, we fixed it quickly and she behaved great for the rest of it. 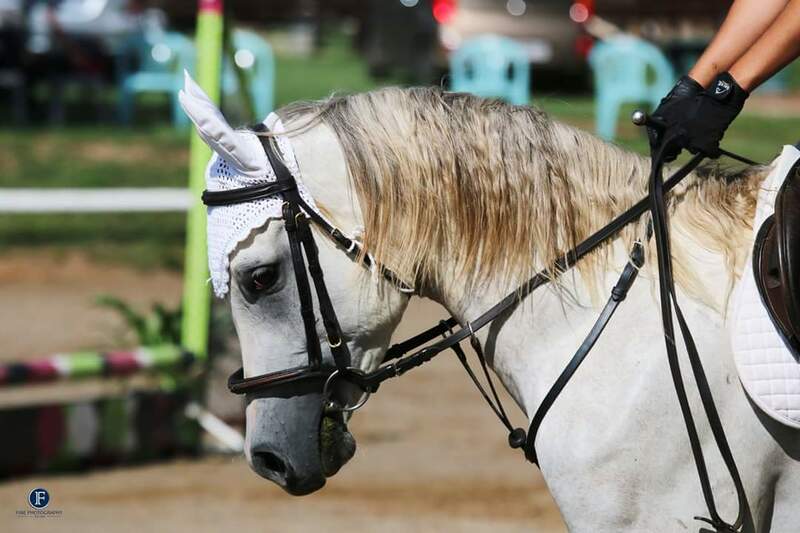 It was so hot and she was so tired that she slept through the rest of the lineup, and I was very ready to be excused and go untack her when the judge suddenly announced that we were reserve champion. I can’t say that it was a strong class, but I am very pleased with the baby horsie. The judge was complimentary of both her looks and her manners, and we might just have the makings of a great little show horse here. I honestly don’t really care. Fun as it is to win a sash, it’s way more fun – and awe-inspiring – to have the privilege of a relationship with this smart, opinionated, strong-willed young lady. The more I get to know this horse, the more abundantly grateful I am that I had her since she was a baby. We are both independent women who know what we want, yet we’ve cultivated a mutual agreement to depend on one another. There is no submission here, there is only willingness to serve. There is no fear, there is no resistance, there is no suppression. She is always allowed to express herself and for that reason she is never violent, never dangerous, and seldom outright disobedient. 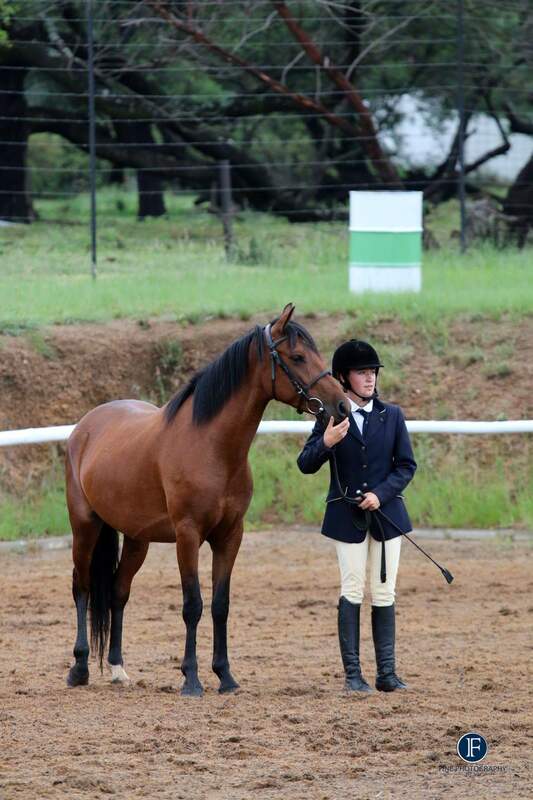 Our relationship is just what I wanted it to be – a horse whose voice is respected and whose personality is celebrated, freely and willingly obeying. After Nell’s sale, after Rainbow’s death, after what has felt like a continual struggle, I feel very, very grateful to have Faith in my life. It only takes a little faith to move a mountain- about 15.1 hands will do. And where my mountains are unmoveable, I find myself riding up their peaks on the back of this horse, by the strength of my God, and by the side of the man my soul loves. t is well with my soul. Glory to the King. With the last of the SANESA qualifiers on the horizon, I’m going to try something new. I’ve always got goals in my head for each show, but let’s put them on paper (in a manner of speaking) and see how they turn out. It’s an exercise I’m encouraging my teenage riders to do, so I’d better lead by example, eh? Midas performed better than I could have asked for at his last show. While he was tense through his first test due to having a short warmup, he still had a decent score, and improved on it for a personal best in his second test. Lancelot had a gimpy first round, but was brave to all of the fences and remained calm and under control. He came back strong for his first clear round in ages. 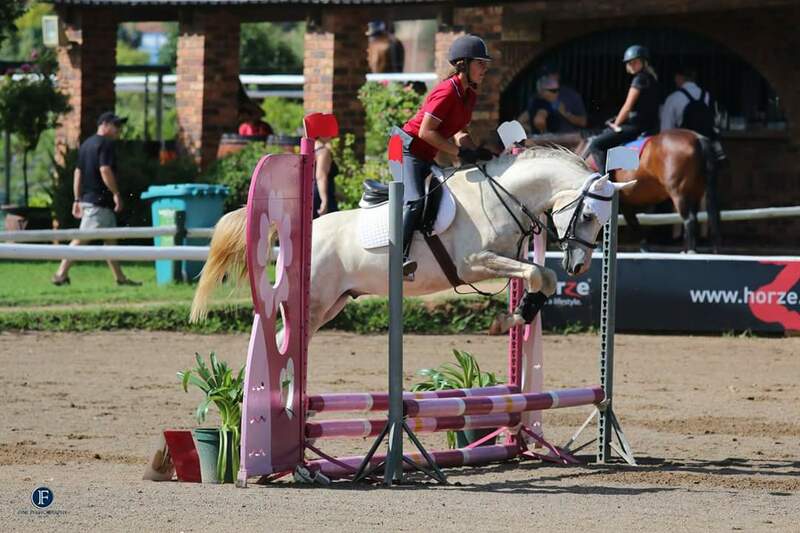 Goals are easy things when your horse is a total baby. Jamaica was a total lunatic last time and very naughty, but he did jump everything I asked him to without hesitation. We did lots of work on brakes this month and hopefully it’ll stand us in good stead. 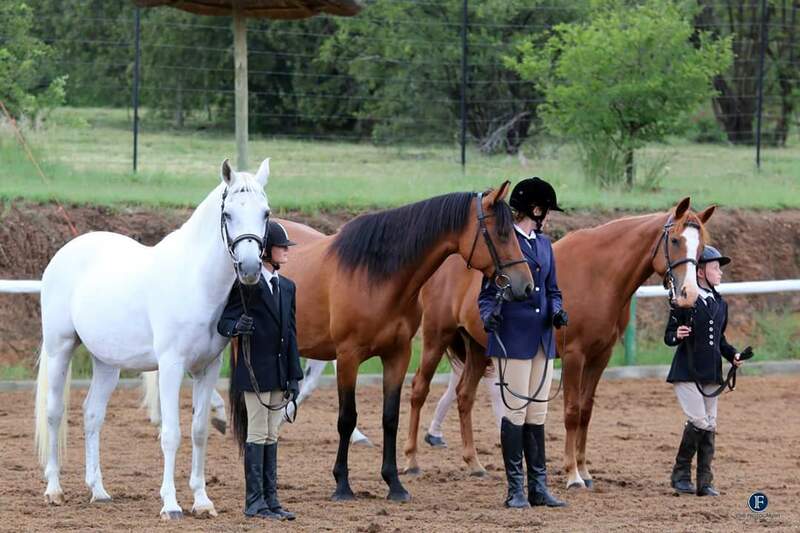 Overwhelmed by grace to get to take these partners into the show ring once again. Glory to the King. It’s been hectic, y’all. I’m writing up a proper recap, but for now, here are some truly incredible photos to goggle at. Fine Photography never disappoints. Who says Arabs can’t jump? So much beauty, all around us. Glory to the King.